The Teen Fashion Blogger: Blogmas Day 23: Christmas Jewellery Must-Haves! 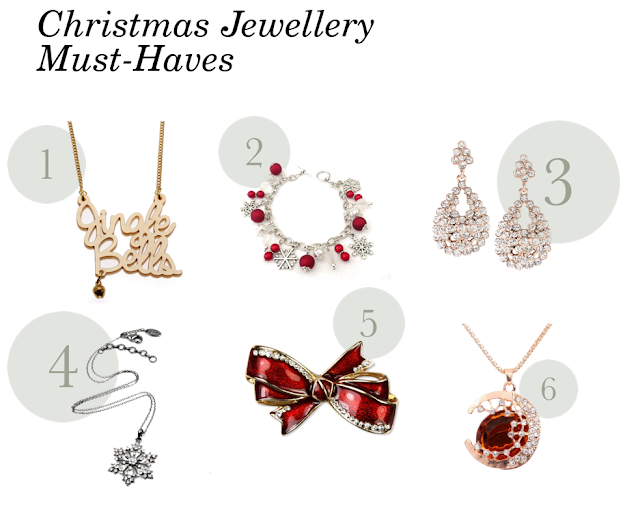 Blogmas Day 23: Christmas Jewellery Must-Haves! Can you believe that there are only 2 more days until Christmas?! To get you back into the Christmas spirit, I have created a collage of stunning jewellery that is appropriate for the holiday season. Hopefully this will help you to be more creative with your Christmas accessories. Hey Carissa! I love your creativity. I would like to own that first pendant in blush pink color with long chain. Is it still available for sale? Thank you! I am not sure which pendant you are referring to, but if you click on the numbered links at the bottom of the post, it will show you where you can buy each piece. Hope that helped.